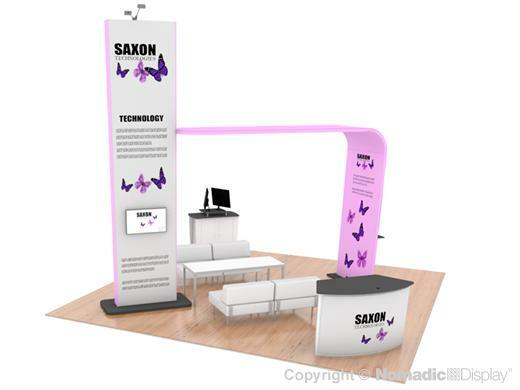 This 20' backlit exhibit features a 16' double sided LightWall tower with SEG graphics. A curved tension fabric structure with pillowcase graphics which attaches to the tower. Two reception counters w/ locking storage to greet visitors. AV monitors to play company messages. This design features a lifetime warranty.